Ramses II the great ruler of Egypt from 1279 until 1213 B.C. He was called Ramses the great and he was the third pharaoh of the Nineteenth Dynasty of Egypt. He is considered the greatest and most powerful pharaoh in the New Kingdom. He led a lot of successful expeditions over Canaan and into Nubia. In his first part of the ruling, he concentrated on building temples, monuments, and cities. One of his unforgettable achievements was the establishment of the city of Pi-Ramesses in the Nile Delta to be his new capital. He used it as the main base for his campaigns in Syria. He was appointed prince regent by his father Seti I at the age of fourteen. He has taken the throne in his late teens. Ramses gained victory over the Hittites at ”the Battle of Kadesh”. He used this event to enhance his reputation as a great warrior. He died at the age of ninety-six and through his lifetime, he had over 200 wives and concubines, ninety-six sons and sixty daughters, most of whom he outlived. There is no ancient site in Egypt, which does not make mention of Ramesses the Great because of his great accomplishments. 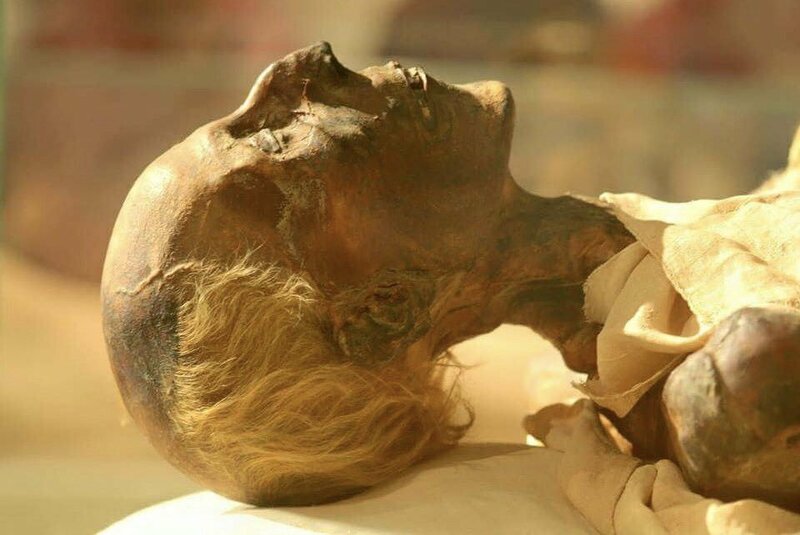 Ramses II the great was the son of Seti I and Queen Tuya. He used to accompany his father in the military campaigns in Libya and Palestine when he was only 14 years old. With the help of his father, Ramses was able to set huge projects and built a palace at Avaris. Seti I was able to put his hands over Kedesh in Syria but it falls in the hands of the Hittite king Muwatalli II (1295-1272 BCE). Ramses assumed the throne in 1290 B.C after the death of his father. He started at once to restore the borders of Egypt, and ensure trade routes. He also tried to take back from the Hittites what he felt rightfully belonged to him. He was able during the second year of his reign to defeat the Sea People “the Sherdan who were allies of the Hittites” off the coast of the Nile Delta. The ones, who survived from the Sherdan, joined his army. He began the construction of his great city Per-Ramesses (“House of Ramesses“) in the Eastern Delta region near to the older city of Avaris in 1275 B.C, which was his capital and was so beautifully constructed that it rivaled the magnificence of the ancient city of Thebes. He also won victory over the Hittite vassal state in Canaan and he returned home with plunder and Canaanite royalty as prisoners. Ramses II formed an army, which was divided into four groups named after the names of the gods Ptah, Amun, Ra, and Set. Ramses was the leader of Amun’s division and the rest of the groups followed him. He marched for two months until he found a good destination to hide and arrange his army to attack Kedash. The Amun division was completely overrun by the Hittites and the lines were broken that why the battle was considered a “Poem of Pentaur and The Bulletin”. Egypt won victory through the skillful military leadership of Ramses II. He described his great battle at Poem of Pentaur and The Bulletin. This battle was the first peace treaty in the history of ancient Egypt between Ramesses II of Egypt and Muwatalli II’s successor, Hattusili III (died 1237 BCE) of the Hittite Empire. After the battle, Ramses II devoted his life to strengthen the borders of Egypt and try to improve its status. Ramses II has built a lot of mesmerizing constructions all through Egypt and Nubia. 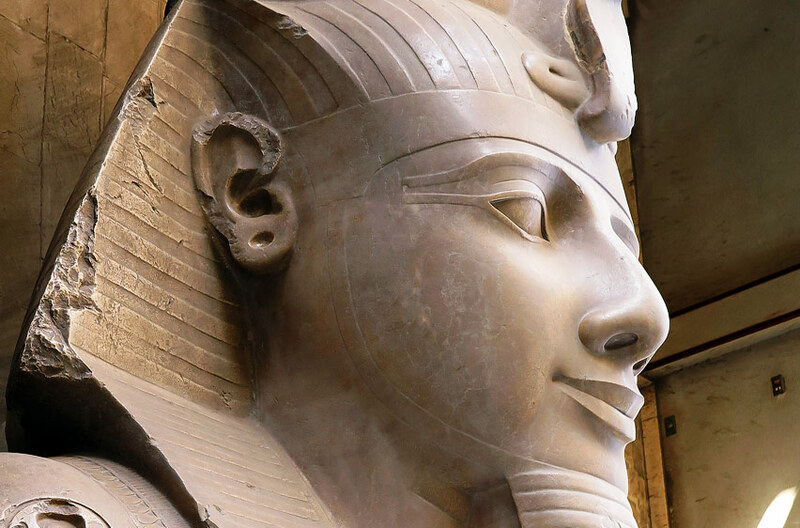 He built a lot of statues, temples, palaces, and many other terrific historical landmarks using different forms of art to attract visitors that you can explore through our Egypt tours packages or Egypt Nile cruises His most mesmerizing temples are the Ramesseum in western Thebes and the Rock temples of Abu Simbel. He even established a capital city in Delta called Pi-Ramesses, which was the summer palace in the reign of Seti I. This new city contained many temples and his Ramsses’ vast palace. The real Pi-Ramesses is located about 30 km south, near modern Qantir. The whole of the colossal statue of Ramses in the location is buried under the fields except for its feet. This terrific temple was preceded by tow courts and there is an enormous pylon stood before the first court. There is a royal palace at the left and at the back, there is a huge statue of the king looming up. There are some repeated scenes for the Hittites at Kadesh over the walls. There are some remains of the two statues of the king in a seated position one in pink granite and the other in black granite. The majestic hypostyle hall contains forty-eight columns. There are two terrific temples of Abu Simbel in the southern part of a Nubian village in Aswan. They were built by Ramses II and his wife, Nefertari in 1255 B.C. Ramsses’ great temple in Abu Simbel was discovered in 183 by the Swiss traveler, Johann Ludwig Burckhardt. it consists of a great temple and a small one.